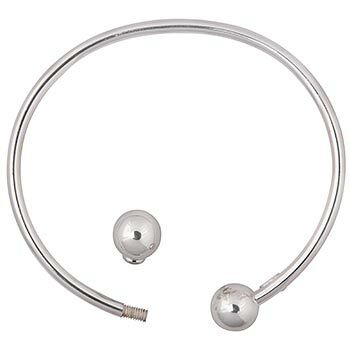 This bangle has been designed for use with our PERLAVITA line of large hole beads. 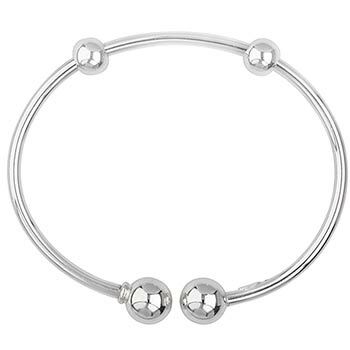 One end of the bracelet features a removeable end, allowing for quick and easy design changes using your large hole beads. Compatible with our smart beads and our silicone clips for use in stationing the beads exactly where you want them. Rhodium plated for durability and tarnish resistance.